Exploded Ensemble is Carnegie Mellon University’s hybrid music research wing, fusing traditional orchestral performance practice with experimental, electronic, multi-media and non-Western approaches to live music performance. Our multi-sensory performances incorporate live video, computer-controlled lighting, architectural scale inflatable sculpture, wearable technology, and many other intermedia elements. 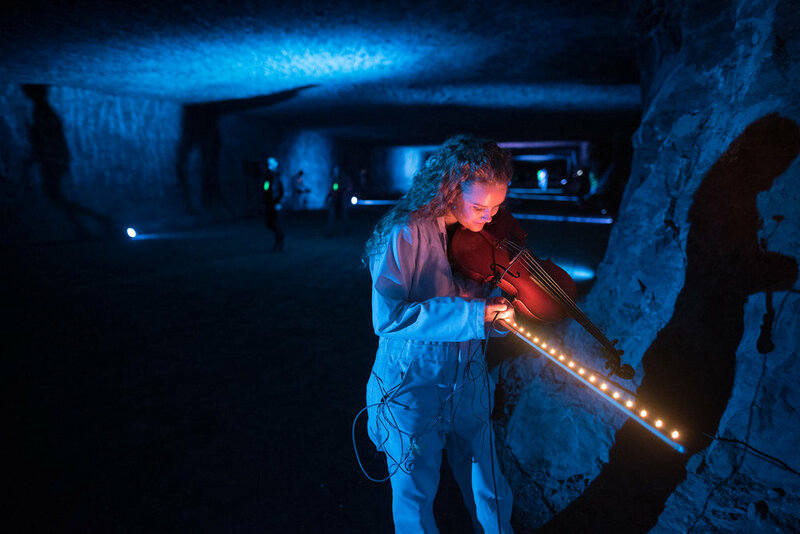 Exploded concerts have received copious attention from the press and have taken us to some pretty unusual places, including hundreds of feet below the Earth's surface. In a review of our recent overnight concert, SNOOZEFEST, the Pittsburgh Post Gazzette described Exploded Ensemble as "one of the city’s most creative musical performance groups."